Your carpet tells a story about your home life–the muddy feet, the spilled cola, the dog that couldn’t wait. Regular vacuuming and stain-removal products can help, but they simply can’t match the cleaning power of professional carpet cleaning. Sears Carpet Cleaning can help remove the evidence of everyday living, as well as the dirt, allergens and odors buried deep in the carpet. The Sears Carpet Cleaning service uses a two-step deep-cleaning carpet cleaning process using one of the most powerful truck-mounted carpet cleaning systems available. 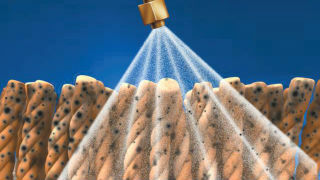 In the first step, a carpet-care specialist sprays a special heated carpet cleaning shampoo into the carpet fibers to loosen deeply embedded dirt. Then during the rinse and extraction step, the specialist removes leftover cleaning shampoo and much of the moisture—leaving your carpet clean, soft and fresh smelling. Sears Carpet Cleaning offers three additional, optional services to remove stains and odors and protect the clean carpet. : With their expertise, specially formulated stain removers and industry-leading stain-removal equipment, Sears carpet cleaning technicians can remove many stains that household stain removers leave behind. And for stains that are too set to be removed completely, we often can lighten them so they’re less noticeable. 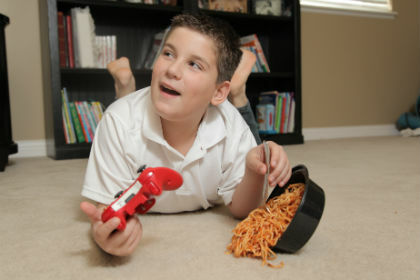 : Keep your carpet looking clean longer with a professionally applied carpet protector. The UltraCare™ Fourguard Carpet & Upholstery Protector restores the carpet’s stain- and dirt-repelling protective coating, so your carpet stays clean longer. Carpet protector is available with the Deep Clean Plus Protect service and with the Deep Clean Plus Protect & Deodorize service. 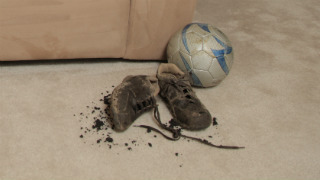 : Pet accidents can make your carpet—and your whole house—smell less than pleasant. So can natural organisms like mold. Our UltraCare™ Pet Odor Eliminator uses enzymes to neutralize the sources of odors. Carpet deodorizing is available with our Deep Clean Plus Deodorize service and with the Deep Clean Plus Deodorize and Protect service. Why choose Sears for upholstery cleaning? Sears Carpet and Upholstery Cleaning can help you get a deep clean for stubborn carpet and upholstery stains or dirty, stained, tile and grout. Some customers prefer to deep clean prior to having houseguests, while others wait until after the... Read more . Our carpet cleaning professionals receive in-depth training so they understand different types of carpet fibers and stain removal, and operate carpet cleaning and steam cleaning equipment for maximum efficiency. Our carpet cleaning process received Platinum Certification from the Carpet & Rug Institute.